Are you a Social Justice Warrior? Do you support unions or organized labor? 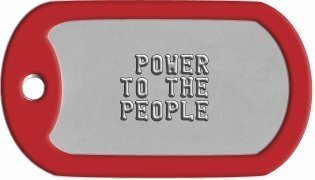 Show your support for your progressive liberal cause with a set of custom dogtags with your favorite slogan. Don't blame me, I voted for Sanders. 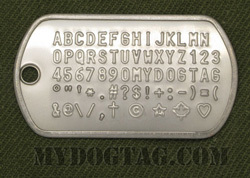 Customize to Buy your Social Justice Warrior Dog Tags now! All orders are shipped within 1 business day and are usually delivered within 1 week (in North America). If you need any assistance creating or ordering your Social Justice Warrior Dog Tags please contact us directly, we are here to help!